Woohoo! 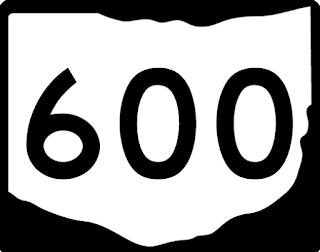 ExhibiTricks just passed 600 posts! I can honestly say that when I started this blog back in 2007, I had no idea where it would lead. But now having settled into a comfortable once-a-week (or thereabouts) publishing schedule, ExhibiTricks has become a positive habit for me --- one blog post at a time! 1) The enjoyment of learning and exploring new things. Many Ways To Say Thanks: A collection of ideas and images for thanking donors or other contributors to cultural institutions. Hayao Miyazaki's Museum Manifesto: The world-renowned animator's thoughts during the planning of the Studio Ghibli Museum in Japan. What's The Big Idea? Getting to the crux of museum and exhibition design. 2) The pleasure in sharing those ideas with other folks. I will be at both the AASLH (in my hometown of Detroit) and ASTC (in sunny Tampa) Conferences happening this month. I'd love any ExhibiTricks readers to say hello, either at one of my sessions or just in the hallways between sessions! It's great for me to connect real people to the anonymous numbers of ExhibiTricks subscribers in my analytics windows. What motivates you to continue your own work? Let us know in the "Comments" section below.